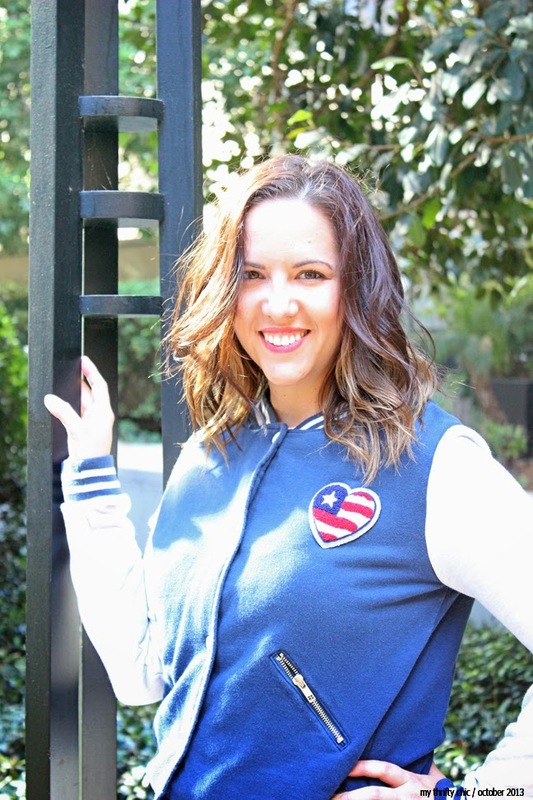 my thrifty chic: Love It Link It - A New Blog Link Up!! Love It Link It - A New Blog Link Up!! Howdy!! Allow me to introduce my new Link Up! Some of you might remember my Anything and Everything blog hop from earlier in the year, but I am changing it up! 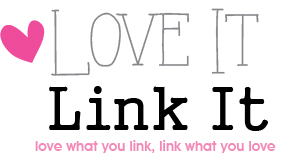 Love it Link it, is a new weekly blog hop that will start every Monday night at 9pm PST. This link up only has one theme: link what you love! Please feel free to share your outfit of the day, a great DIY, your favorite new mascara, or anything else you think the blog-o-sphere should know about! Grab the button below and start linking!! What I am going to tell you, might totally affect the way you see me, but it has to be said... I do not take ootd pics on the actual days I post them. I know, illusion shattered right? I do in fact wear all of the clothes I take pictures of, but it's usually on a day with 10 different wardrobe changes. I usually pack 3-10 outfits with a laundry basket full of shoes (not even kidding) and the hubs and I set off to take some pictures around Los Angeles. This past Sunday, I took B downtown and we shot a couple outfits on roof tops and sky bridges, and the one below in the park! 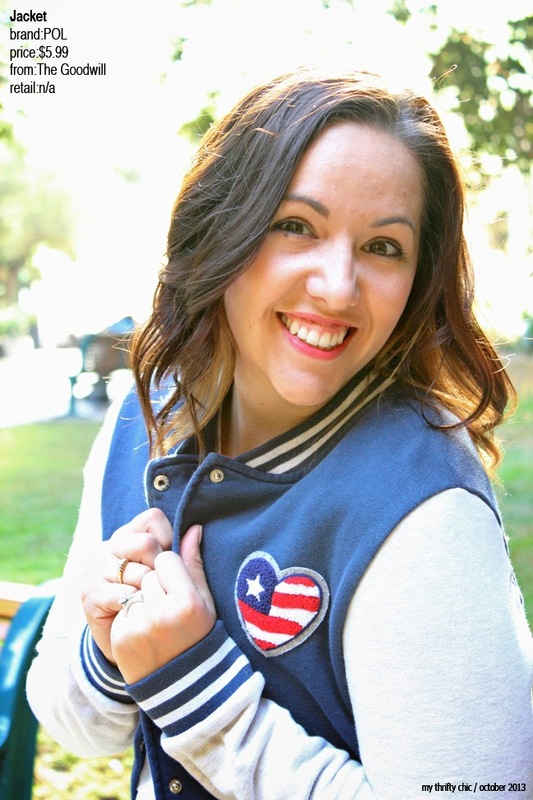 I bought this baseball jacket purely because it was cheap and trendy. I am a firm believer that not all trends are made for all types of people, but sometimes I still want to give them a go. I didn't know if I could, or if I would even want to pull off this jacket, but... I found it this past summer on our trip to the Grand Canyon (There was a pretty fabulous Goodwill in Flagstaff, AZ). I have worn this jacket a couple times, and I always look 12! Not that that's a bad thing, but I kinda look like a 30 year old trying to look 12. This jacket is not nearly as high fashion on me as I had hoped, but then again, nothing I wear really is. Great link up; thanks for hosting :o) I linked up my beauty tips & tricks! I also stole your button and put it on my link ups page! Hope you're having a great week! :) But the jacket looks so comfy and warm! I think you look young, without trying to look young. Does that make sense?! Thanks for visiting my blog Tori!! I love how you found this jacket while traveling. The best finds are when you're not shopping at home! Jackets looks so cute on you!! What fun photos! You're a doll! 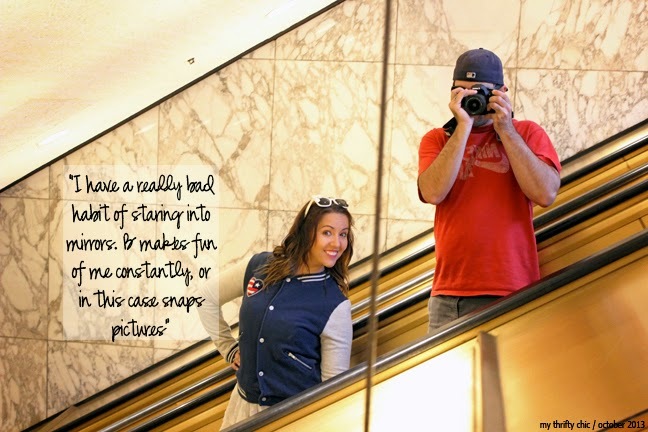 And very interesting to hear that you travel with a ton of outfits to your photo spots! What a very patient husband! Mine is very gracious but I know he could do without my daily morning photos!! Wooo, I'm linked - you are awesome for hosting this (and for telling me about it!) Love the outfit btw! I'm trying to get my bf to start doing that! But right now we are just taking each picture in the morning before work. I wish we could do it all in one day so I only had to do my makeup once a week-- ha! this look great! I will plant to link up next week. Thanks for stopping by my site! I love finding trendy items for cheap prices too! No need to spend a ton of money on something that's "so this season"
Phew!!!! On two counts. One: happy to have your linky back - always love it. and two: that's what I do too (eek - even including the laundry basket full of shoes). Although not nearly as often as I would like to. Most of the time it's the white door in the green kitchen. You look so cute. And that escalator shot is the bomb!! You look really happy.